Another gripping tale from bestselling author John Grisham! Samantha loses her job at a top law firm in New York, so she accepts an unpaid internship at a legal aid clinic in small town Appalachia. Her life is in peril as she helps a local attorney furtively uncover the sinister world of coal mining and its devastation on the landscape and environment and its health impact on the community. Samantha is forced to adopt daily challenges, stretching her boundaries beyond her own expectations as she comes face to face with Appalachia’s overbearing mining community. 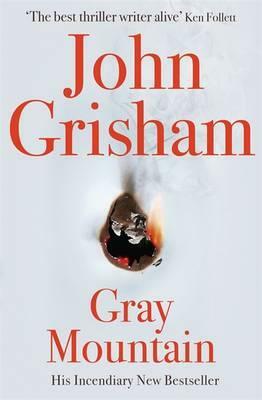 This entry was posted in Fiction and tagged Gray Mountain, John Grisham, Parramatta City Library, Staff Pick by admin. Bookmark the permalink.